Walter Drake Is A Hit! Ordering on-line is great, it really speeds up the ordering process. The product is well made and good looking. I had to call the WD customer service dept, and they were very helpful and professional. Much appreciated. Did I win? (Kidding). 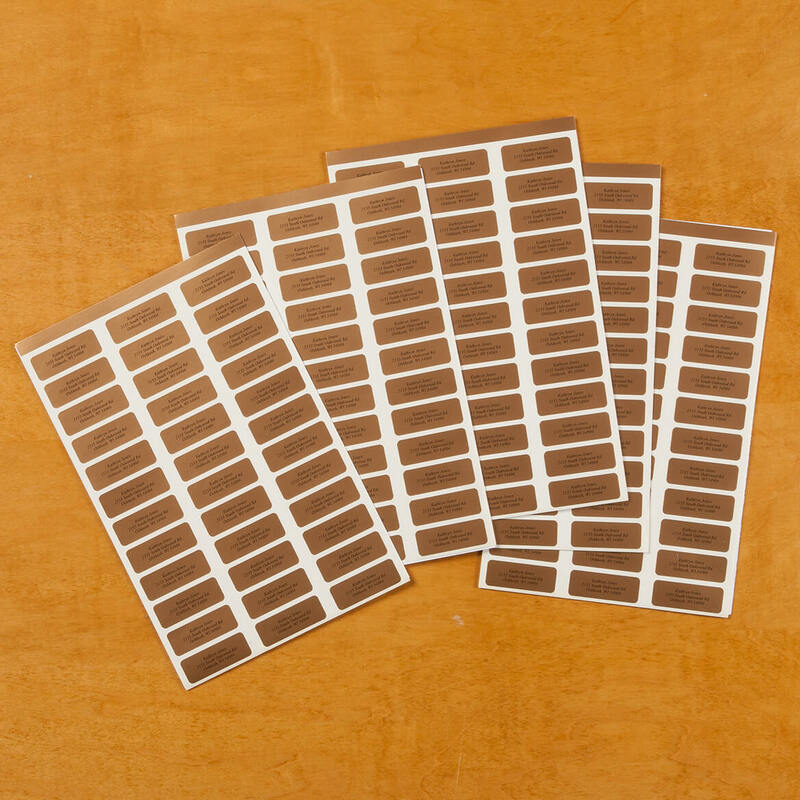 I've gotten clear labels from Drake before, and they were printed on that shiny tape similar to Scotch Transparent and, indeed, when placed on a greeting card envelope, the tape practically disappeared and the print was dark and really stood out. This last order came on tape similar to Scotch Magic with a dull surface that is fairly obvious when placed on an envelope. Not only that, the print was so faint compared to past orders that it wasn't all that easy to read. 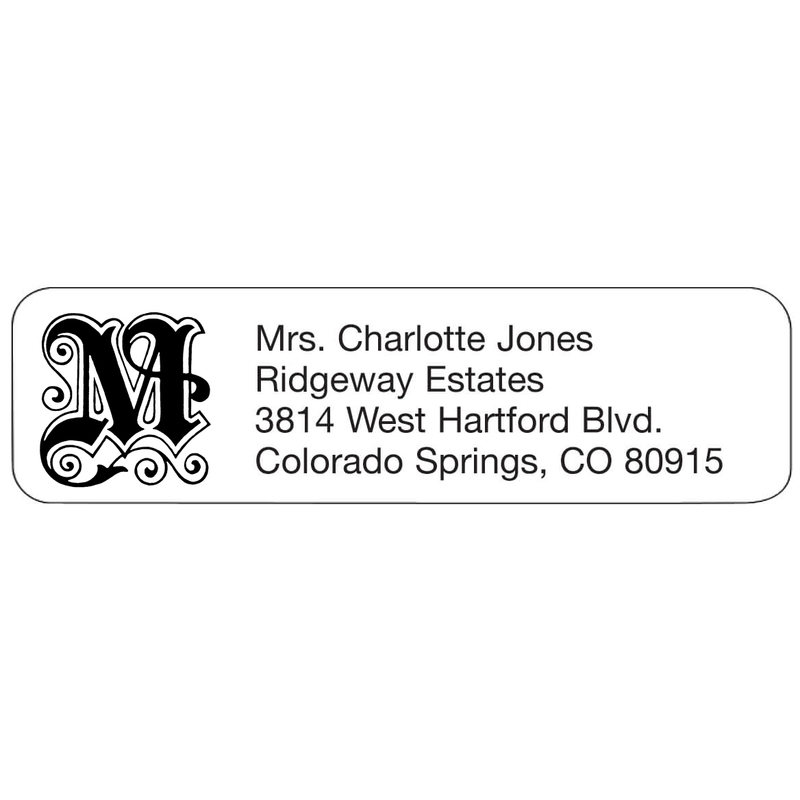 I've been ordering WD address labels for years now. They are excellent quality at a reasonable price. Have ordered previously and liked. Have purchased before. Like this style for personal mailings. 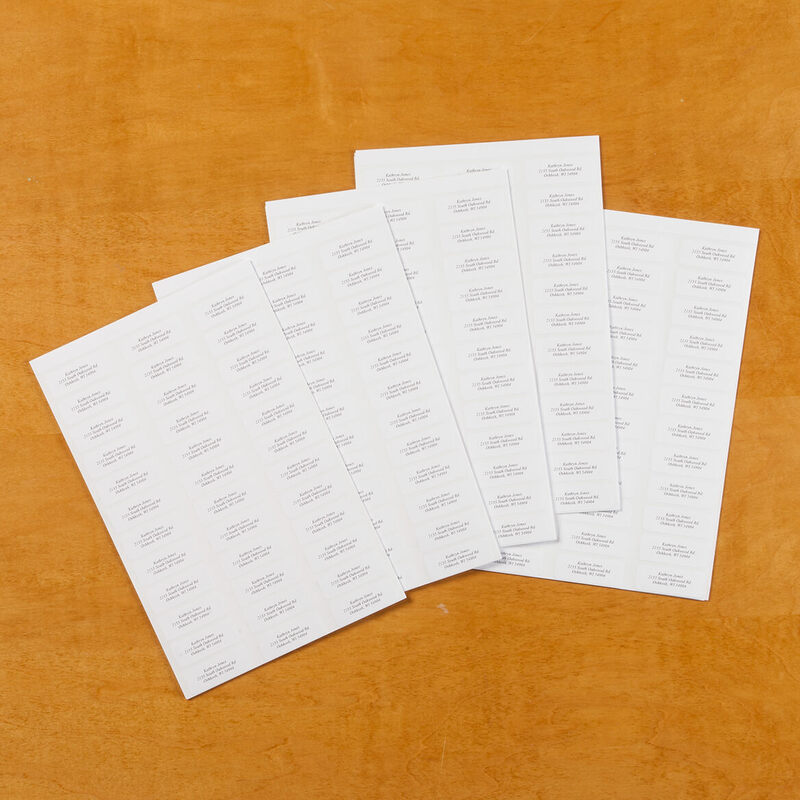 I have been ordering these mailing labels for 30 years. I chose this sticker to attach to small bags of mints for the ministerial staff at church--the information on this sticker is centered which makes a nice presentation. The price was good!! I needed more than 20 letters and spaces for the top line. Free shipping!! Like the style - this is a reordr. Loved option of script, promotional offer and free shipping. Needed return address labels. Wanted to have them personalized. 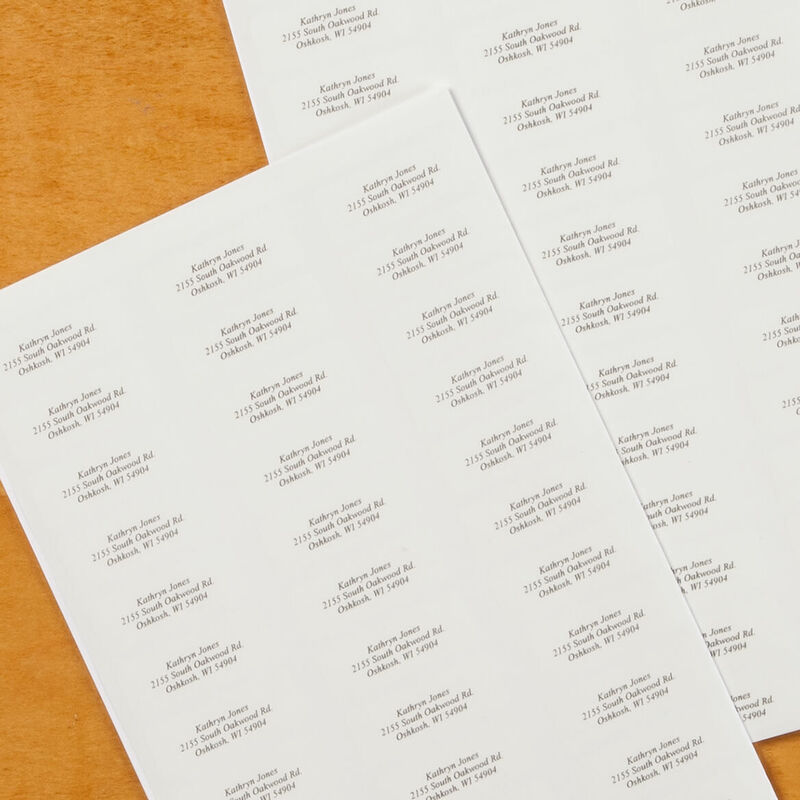 Because 'Block Style Return Address Labels - Set of 200' on a CLEAR background and in a BOX do not appear to be available any longer. This wasn't quite what I was looking for. I wanted a lighter, finer type, more like calligraphy, but settled on this due to the length of the address lines. 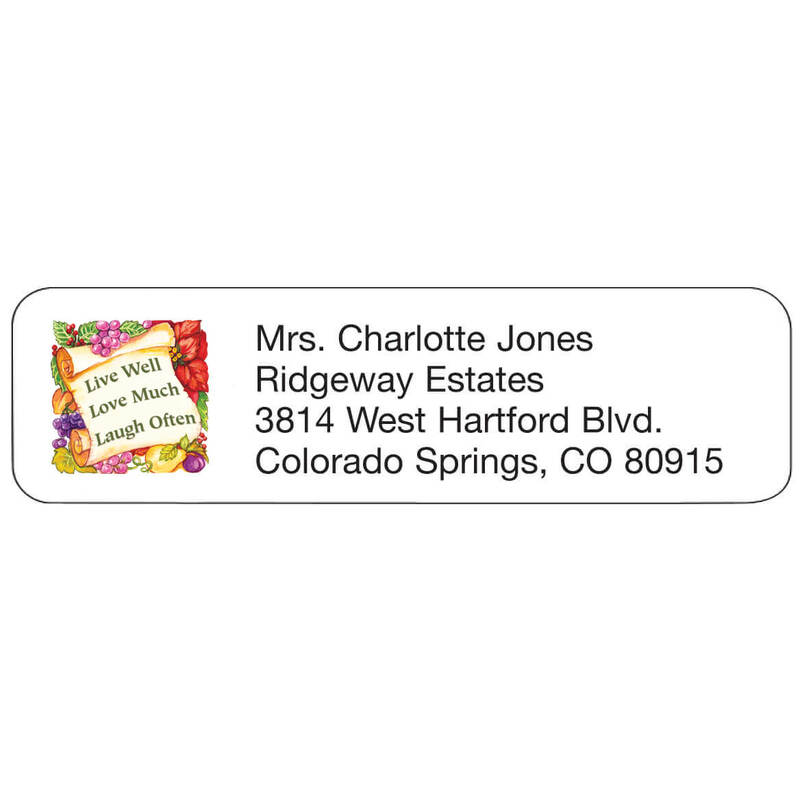 I wanted labels that would blend well with any color of envelope. Clear labels seemed to be a great solution. Easy Website to get into and order. That is the reason I decided to use it. Thanks. We order these year after year. Consistently accurate and great quality. 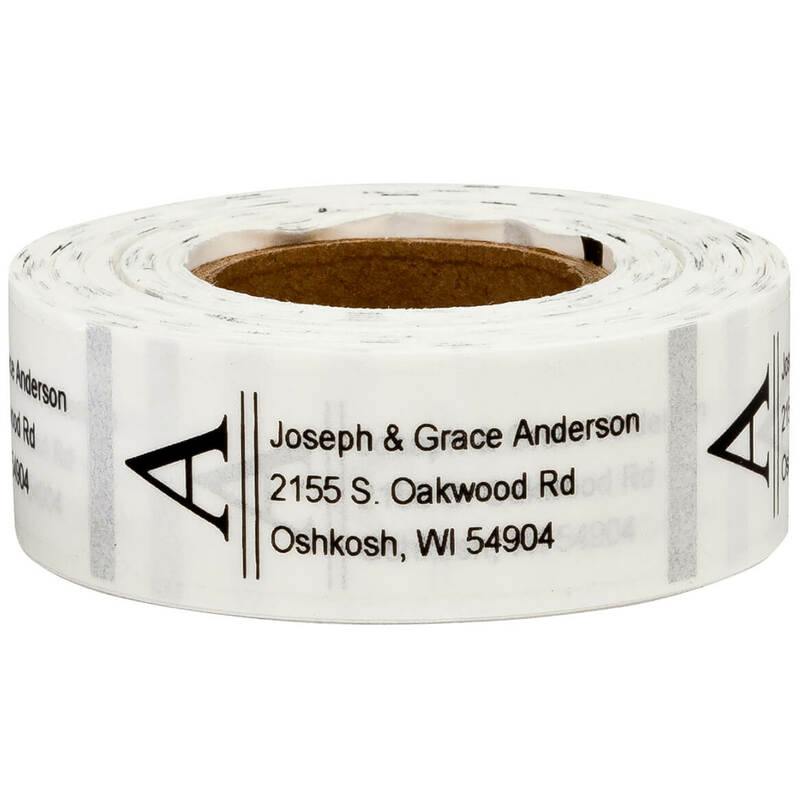 The boxed labels make it easy to grab a few on the way to the post office, without the mess that comes when a roll of labels unravels over time, and the clear labels have a nice matte satin finish. 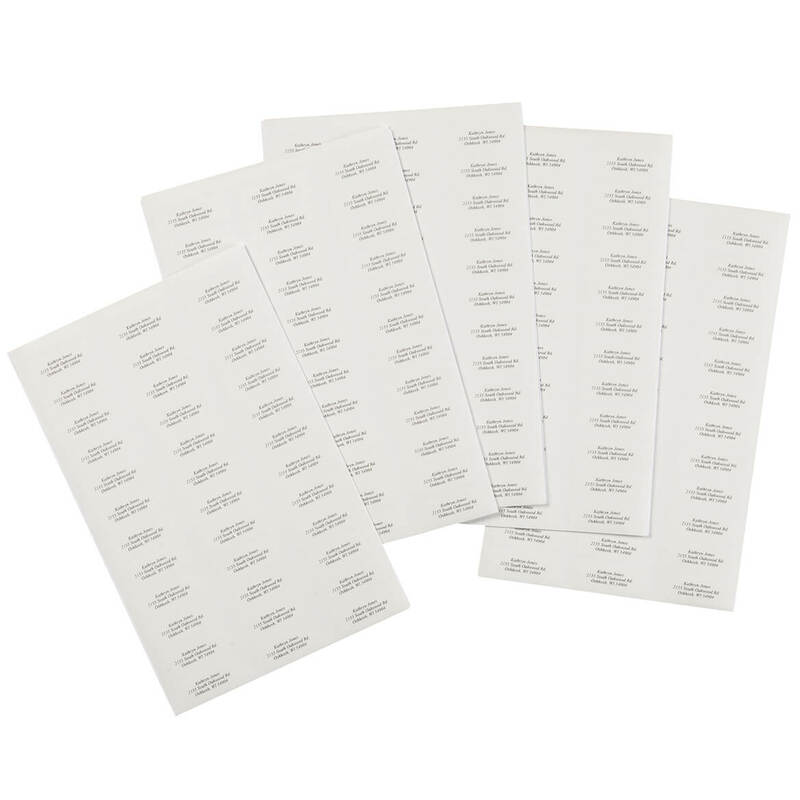 The printing is always clear and consistent, the script font is classic and elegant, the adhesive is excellent, and the labels peel off easily without taking half the backing with them. What more could you want in a label? 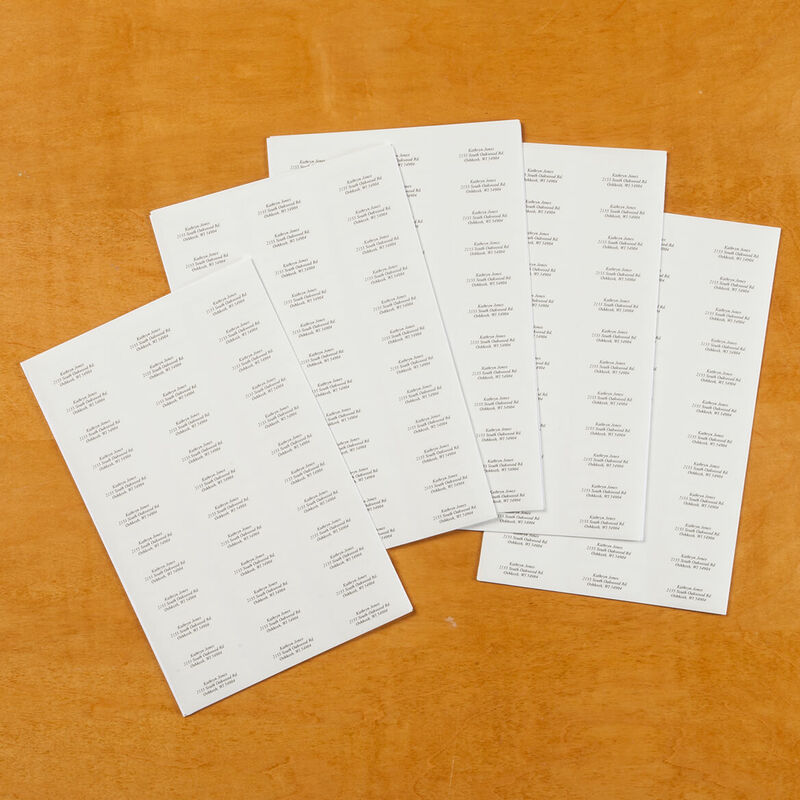 Pretty font and clear labels will match any stationary or envelopes. Because I ran out of labels and I don't use the ones that come as "Free, if you send us money" in the mail. Had this style before and liked it. Return labels have been used for the church for several years and we are pleased with the look. Because I've ordered them in the past, have been very happy with the labels and with the service. Time saver and always a good product choice. Like the script font and it's easy to read. Looks nice on envelope and easy to use. I am ordering these for my cousin...love these, makes things much easier for him. clean, simple lines. Easy to use. Good value. I continue to order these labels because I like the style and the script. For the print (nicer for our daughter) and in a box. Need new address labels to speed sending mail. Just what our customer wanted. We've been pleased with this product for years. I like the design and price. Needed address labels and liked the idea of having clear ones that would blend in with my envelopes. Quality product-using them for years. Used up current supply. 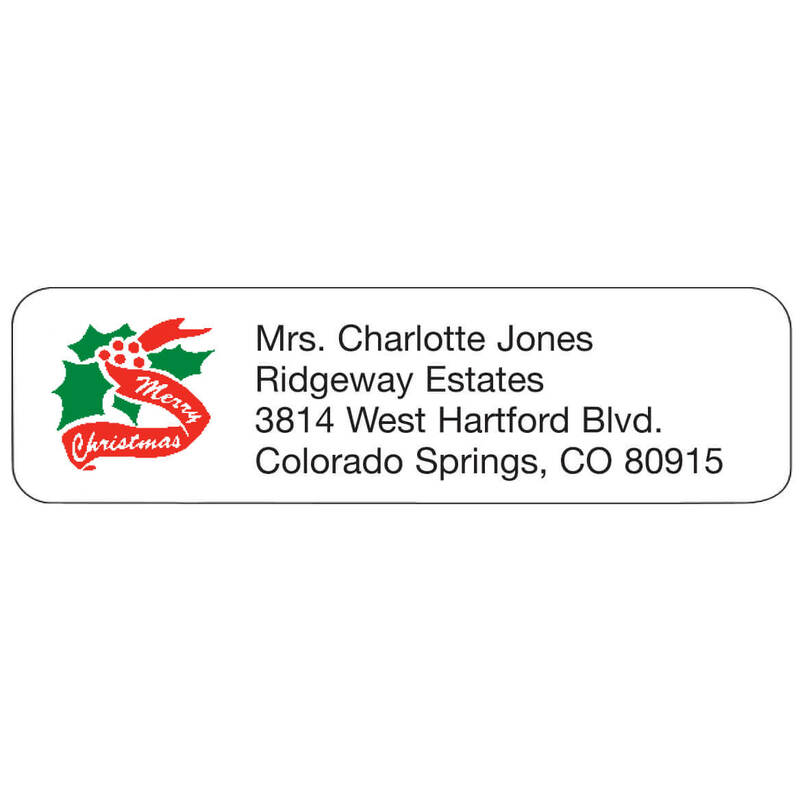 Moving soon so ordered new labels with new address. Do these come in clear personalized scrip lettering? 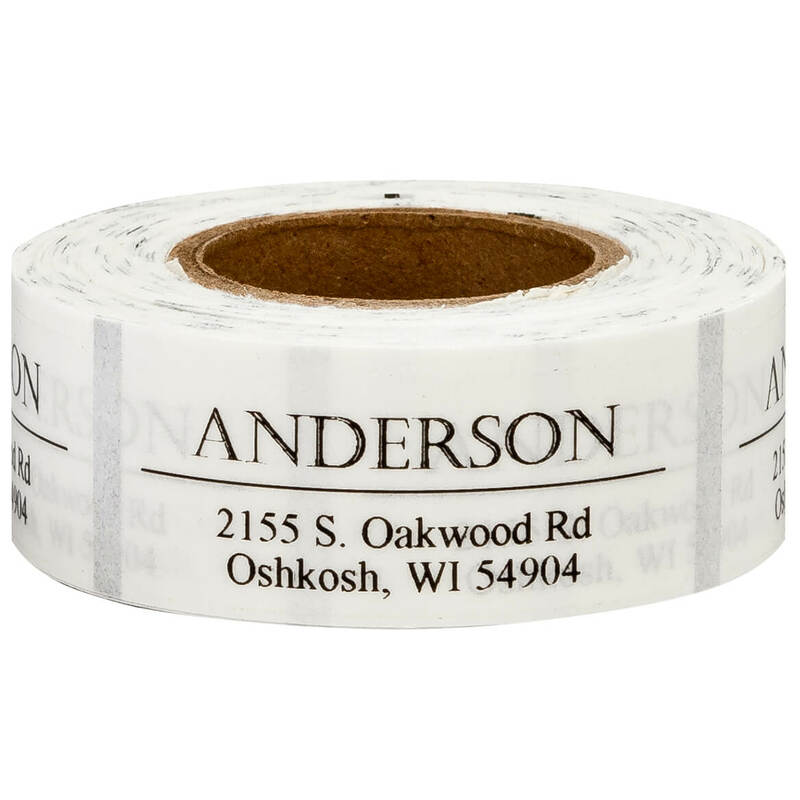 BEST ANSWER: Yes, I ordered my labels in clear format with the script lettering. 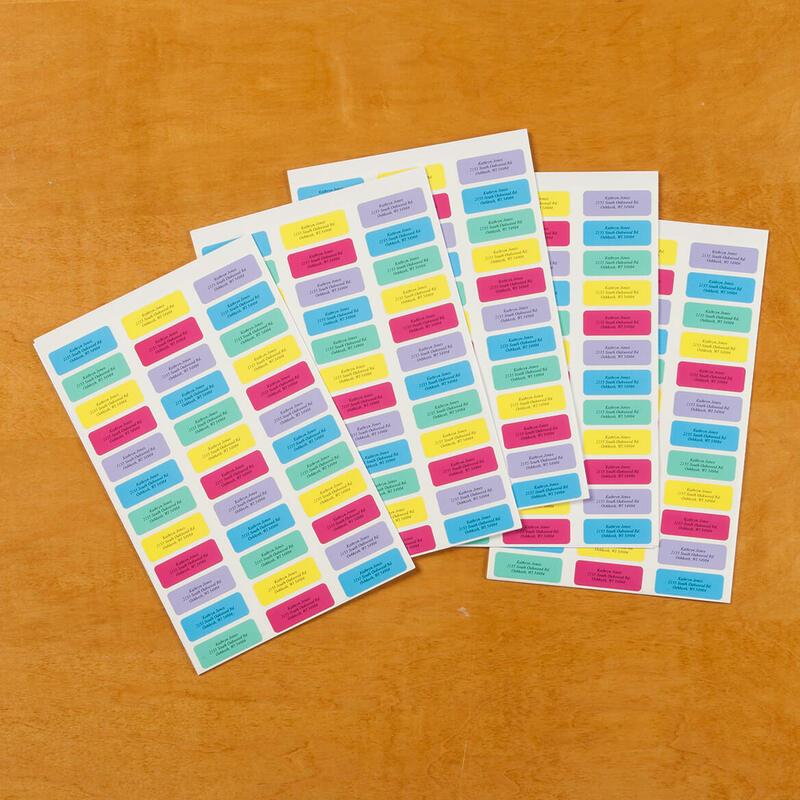 Do you have freezer labels? BEST ANSWER: Thank you for your question. Yes we do search for Freezer Labels. We hope this information will be of help to you. BEST ANSWER: You can't, unfortunately.